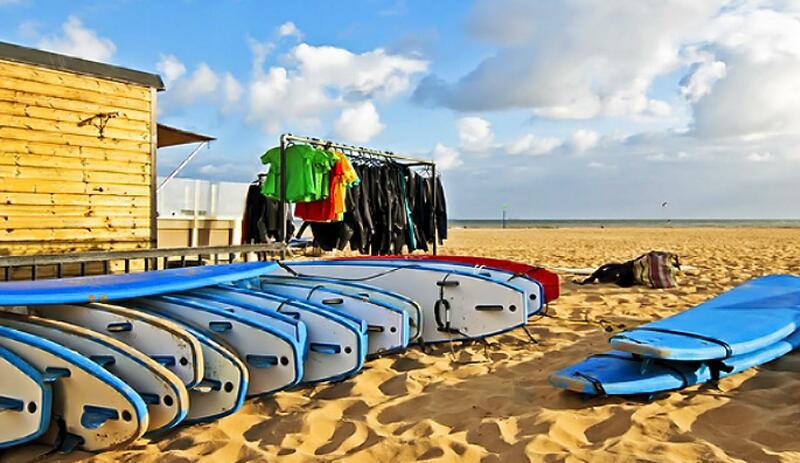 Optional extras: Add 'Les Dunes' Service Pack to your rental - contact us for details & quote. Other supplements: 1. Cot & high chair 29 €/wk. 2. Bringing pets 25 €/wk/pet. 3. Final cleaning is expensive - avoid. Security deposit: 750 € + cleaning deposit 144-288 € depending on villa size. Changeover day: Flexible arrival & departure possible outside the period 5th August - 16th September. Short stays (min. 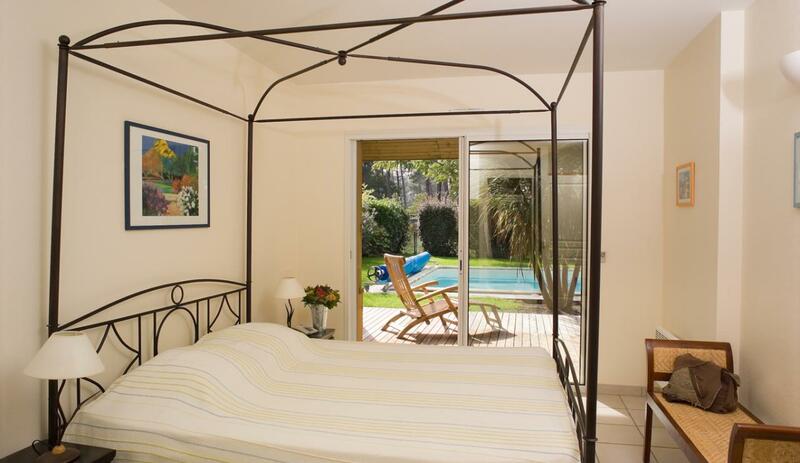 4 nights) possible before 7 July and after 16 September - contact us for quote. Arrival and departure: Arrive between 5-8 pm and depart by 10am. 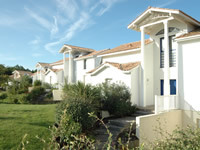 Attractive 'chalet' style villas ideal for beach holidays and summer living. Active families who want easy access to the beach and plenty of activities. 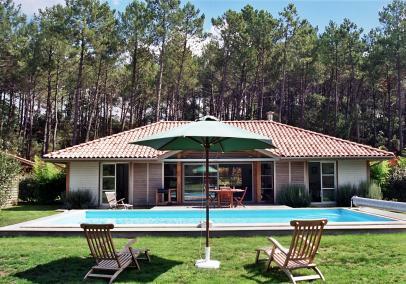 Outside the summer season the la Prade villas are popular with golfers. Gardens are not always enclosed. Please note that BBQs are prohibited at Moliets because of the forest fire risk. You can use an electric plancha though - cheap, portable ones can be found in local supermarkets. Moliets is known as something of an oasis amongst the endless pines of western Europe's largest forest. It's basically a big playground! 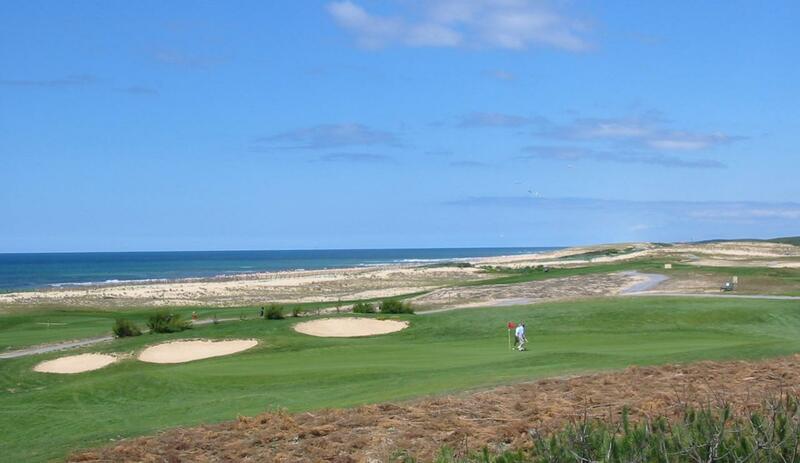 Activities include: surfing, cycling, golf, tennis, adventure parc, horse-riding, kayaking, etc etc. Many places of interest are within an hour's drive. It's an ideal destination for an active and varied seaside holiday. Modern 'chalet' villas with all mod-cons and private swimming pool. 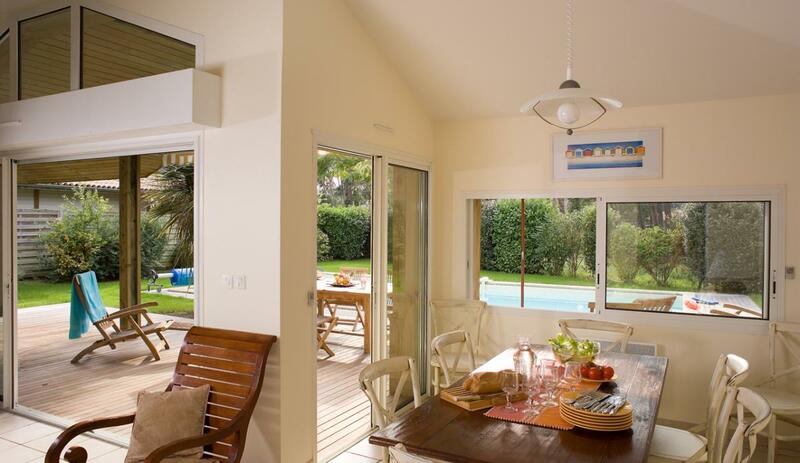 Detached holiday villas with light, 'summery' interiors and a private pool. The pools are unheated, with a maximum depth of 8x4m. They are protected by an alarm or cover. Two shower rooms & two separate WCs. 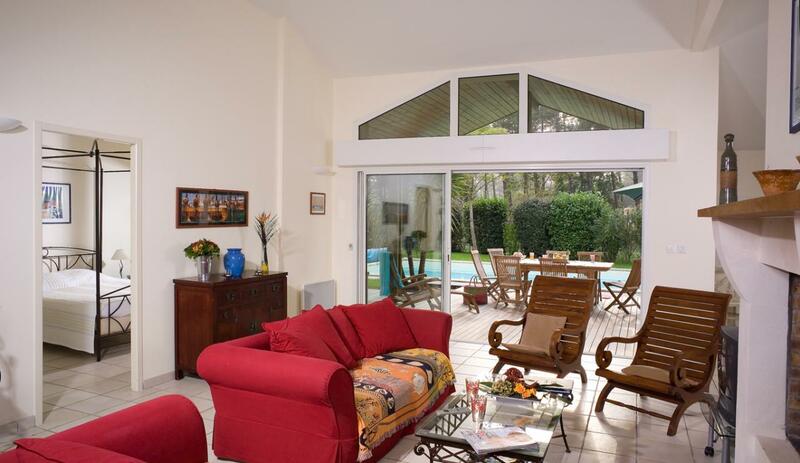 The la Prade estate lies in a peaceful pine forest setting bordering the golf course, approximately 1.5k south of the main resort shops and amenities at Moliets Plage sea-front. 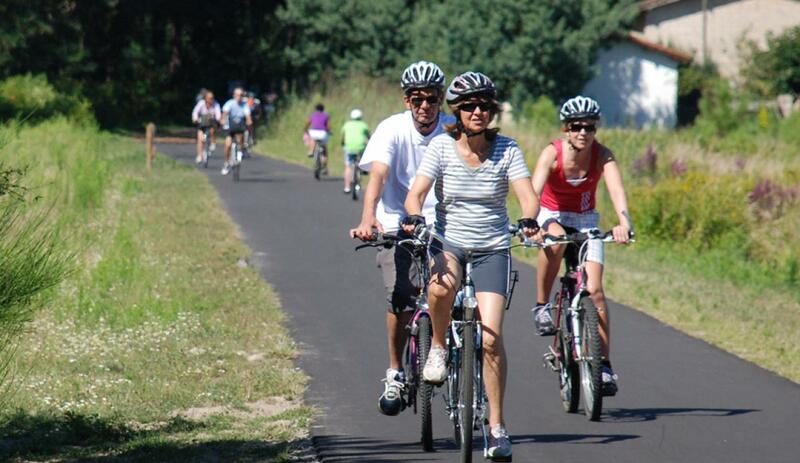 It is a walk or cycle ride of just under 1.5 kms to the beach at Chenes Lieges. Boulangerie: 1.5km at sea-front - peak season only. Or Moliets-et-Maa 2.5km. Breakfast delivery option available at villas. La Prade has a dedicated reception desk. Free wi-fi is available at reception. Reception also have a stock of dvd players and wii games. Service: Palvelu on erinomaista, nopeaa ja tehokasta. Kaikki toimii aikataulun mukaan, ohjeet selkeitä, nettisivut hyvät. Product: Talo tilava ja siisti. Keittiö hyvin varusteltu, sisustus yksinkertainen mutta toimiva. Uima-allas erittäin hyvä lukuunottamatta melko hankalaa avausmekanismia. Talon Wi-Fi huono. Product Comment: Thank you for your kind comments. I'm not going to try writing back in Finnish! Service: Very helpful. Useful handout. I would add hossegor as a place to visit. Product: Needs wifi. Wifi at reception is not enough. Advice re taking DVDs would be good. Product: Average.....did not get a lot for the Money. Tired and old Villa, needed to clean and no wifi......get into the 21 century. Not sure if the French know about customer Service. 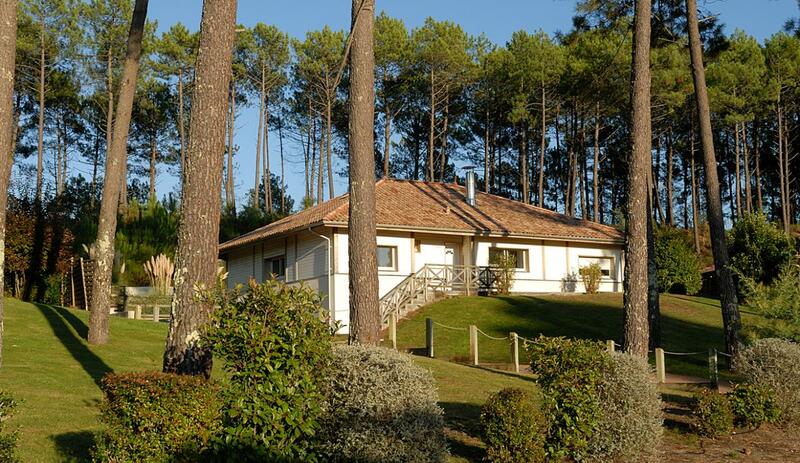 Service: Phone Alternative Aquitaine after losing a booked villa via another company at last minute. They supplied me with a list of properties still available that met our requirements in 15 minutes and having choose one it was booked within 30 minutes. Really excellent service. Product: Great to have a reception where you can get holiday information every day. A couple of minor issues with items in villa which they had a man come and fix within the hour. Excellent service. 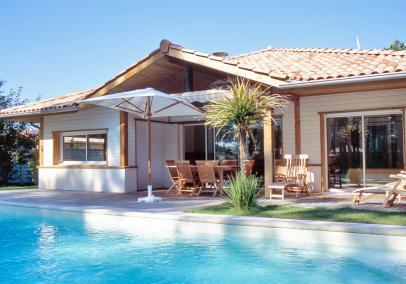 Product: Superb villa and pool and excellent friendly and helpful staff. Only one complaint ! The windows are so clean we kept trying to walk through them when they were closed ! Product: Very nice and clean, we even used the pool and it was October!